Dateline: San Jose, CA (12:35 pm PST) — America isn’t undergoing a crisis (the Whitehouse is NOT in turmoil); it’s undergoing an attack. Seventy-six years ago the United States suffered a devastating sneak attack by the Imperial nation of Japan; sixteen years ago attacked by the terrorist organization, led by Osama bin Laden, known as Al Qaeda. Today the next largest threat, aside from the out-crop of Al Qaeda known as ISIS or Islamic State in Iraq and Syria, is the presidency of the United States of America. The recent report(s) of The_Donald sharing classified information with the Russians, in their trip to the Whitehouse last week, appears to contain sensitive Israeli military intelligence given to the U.S. in confidence … in that it wouldn’t be shared with political and diplomatic adversaries (namely the Russians who are allied with Iran and adversary to Israel). At this moment that confidence has since been shattered by the report that The_Donald had indiscriminately, or even recklessly given to the Russians intelligence data regarding ISIS and the efforts to combat this terrorist organization. It also appears that certain allied intelligence assets may have been dangerously compromised in the release of this information. 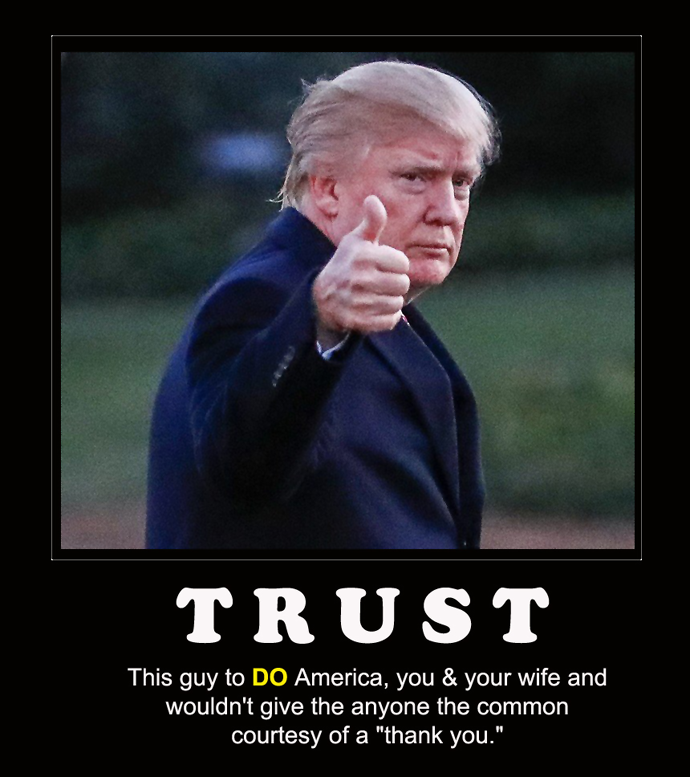 The push-back effort by the Whitehouse and The_Donald’s administration to quash this latest violation of American’s trust simply doesn’t pass the smell test given all the fake-news, misinformation, half-truths and downright lies coming from him. America is once again under siege and this time from the most unexpected quarters of the usual threats. This time it is from the President of the United States who appears to have no shame in flaunting his disrespect, no only for the law, but of & for the U.S. Constitution itself and where national security is concerned, and where the office of the presidency has been reduced to a feckless and possibly treasonous branch in the separation of powers of this democracy & government. The Republicans, and to their well-deserved shame have been useless in conducting themselves with any degree of responsible urgency regarding The_Donald, who once said that “he could shoot someone on 5th Avenue and not lose any votes.” There are even those who continue to completely trust him in blind confidence regardless of this latest attack. However and despite the few who are currently behaving as though they are in some Americanized-Kabuki-political-theatre, the GOP/Republicans for the most part appear not to have a care in the world that America is now under siege. America, it’s government, democracy and the U.S. Constitution is now under attack — not from where it may be expected such as another country, or terrorist group but from a position of internal power that has now been degraded to one of ridicule, ineffectiveness and borderline treason, and or sedition within Title 18 of the United States Code. The Republicans for their part do not want to bloody their paws with this avalanche of destructive facts and truths regarding The_Donald, as they appear to be intimidated, or even frightened by the prospect of the Democrats achieving a moral, if not political victory in taking down a presumed treasonous President. However, where it all leads, and to what ends may be had, both parties will never be the same as sides need to be drawn: One is either with America …or the attacker; the abuser, and the Russian intelligence-complicit, self-described businessman & billionaire Donald J. Trump.